Spring isn’t quite in the air yet, but it won’t be long until we can expect to see some feathery visitors to our gardens. For the bird watchers among us, it’s one of the best times of the year and it’s a whole lot of fun. So… how do we go about encouraging the birds to stop by? It’s not as confusing at it might seem to attract a beautiful array of birds to your garden with minimal effort on your part. Here are my handy dandy tips to making your garden the perfect rest stop for British birds! 1. Place your bird feeders and nest boxes away from low cover where your pet moggy could be lurking – birds and cats aren’t a good mix (although your cat will disagree)! 2. 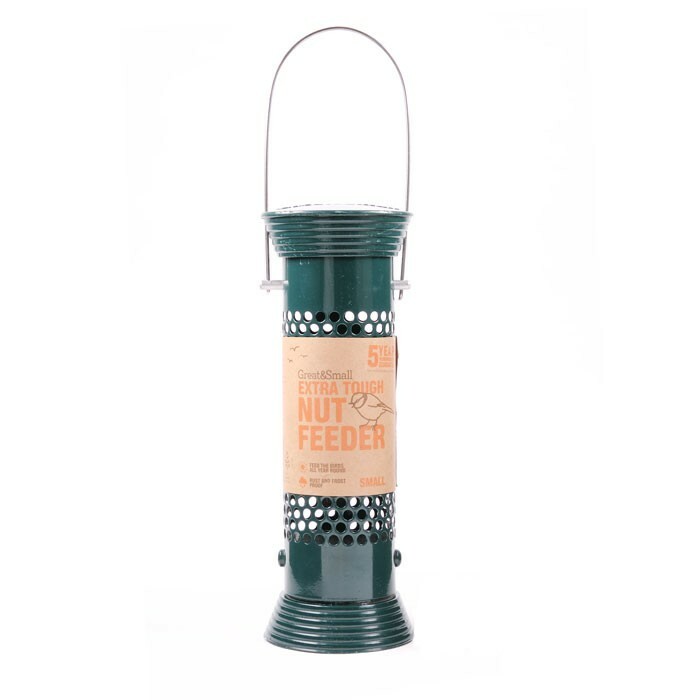 Place your bird feeders away from your house to stop the birds from flying into the windows. It may sound silly, but it does happen – I remember once seeing a huge bird print on the glass of our patio doors! Fascinating for me, but probably not so good for the bird. 3. Experiment with different types of seed and observe the types of bird that come to visit. 4. Place peanuts in a wire feeder so only small pieces can be taken at a time, because whole peanuts may be too large for young birds to handle. 5. Most species feed their young on mealworms during the spring, and so providing them with dried mealworms (but remember to soak them first in warm water to add moisture during the breeding season) or bug boxes for a live meal, will make your garden an attractive place to nest. Yummy! 6. Provide a bird table, feeders and protected ground space for birds to feed as different species have different feeding preferences. 7. Sit back and enjoy the fruits of your labour! Plus…. Great & Small are so confident in their bird feeders, they come with a 5 year workmanship guarantee!